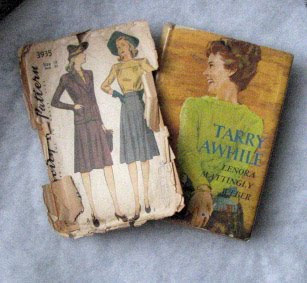 I'm a big fan of the Beany Malone and Belford series books by Lenora Mattingly Weber. 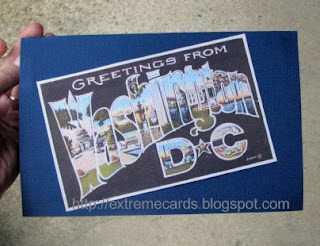 I made pop up cards to give to my fellow Weber-ites at our recent gathering in Washington D.C.
Beany and the foliage pop up with simple box mechanisms. 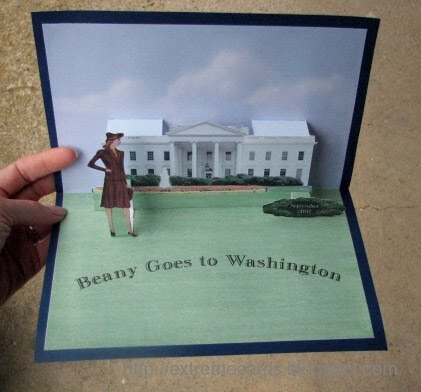 The White House and background came from an election card designed by Carol Barton. I used Photoshop to combine Beany's face and the suited girl from a Simplicity pattern envelope.